Sweetzone Party Lollies are massive bags of heart shaped lollies. 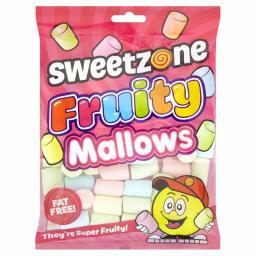 Each bag s a whopping 300g and contains an assortment of Cola, Raspberry, Strawberry, Orange and cherry lollipops. Each lollipop weighs 9g so is in between a 5p and 10p size – there are approximately 34 lollies per bag. 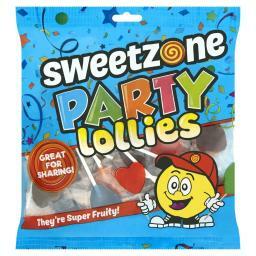 Our lollies are suitable for vegetarians as well as being fat and allergen free.